This United Nations World Heritage site, about two hours’ drive south of my home (Calgary, in western Canada) is one of the most stunning locales I’ve ever been blessed to photograph. My wife & I were camping here, just a day before a vicious hailstorm wiped out our dining tent, when I got up early to make photos like these. You can’t see the badlands, but I’m actually standing on a huge ‘badland’ hill to get this vista. 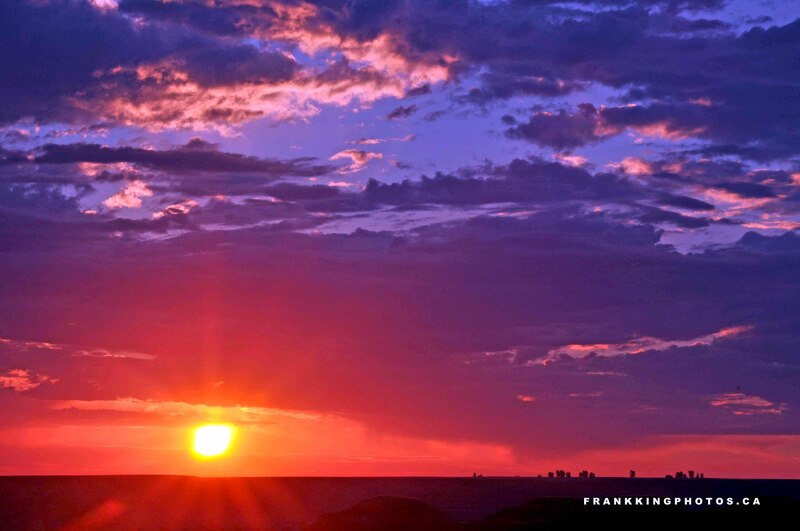 Brilliant colours, Frank. Great shot! !